For the 25th Anniversary of the World Travel Awards the elite of the Latin American travel industry emerged on the Ecuadorian city of Guayaquil to enjoy of night of ceremony and awards which will be held at The Palacio de Cristal, a building that was commissioned by Gustave Eiffel, the designer of the Eiffel Tower in Paris, in 1908. The building has since undergone an extensive renovation as part of Guayaquil´s regeneration project. The World Travel Awards this year celebrates 25 years and is acknowledged Worldwide as the ultimate Travel accolade for the Travel industry, in other words the Oscars of the travel industry. The awards are always attended by executives from all the best travel companies, operators and hotels from Latin America, the World Travel Awards are universally known as rewarding organizations who excel in industry excellence. The World Travel Awards brand is recognized globally as the ultimate reward for quality, with the winners recognized as the best in the industry. The World Travel Awards were established in 1993 to acknowledge, reward and celebrate excellence across all parts of the travel industry. Each year the World Travel Awards cover the globe with a series of gala ceremonies staged to recognize and celebrate individual success within each key geographical region. The awards will be held at the Ecuadorian port town of Guayaquil for the first time, the town of Guayaquil is the gateway to the Galapagos Islands famous for the thousands of species of wildlife and the cruise that travel to the islands. 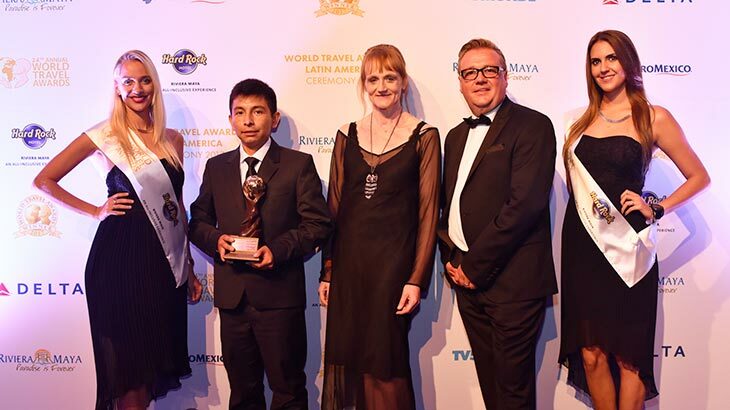 The awards are attended by executives from all the best travel companies, operators and hotels from Latin America, the World Travel Awards are universally known as rewarding organizations who excel in industry excellence. The awards recognized many different areas of the travel and hospitality industry. Some of the winners in the airline industry airline, Delta airlines won for the best airline travelling to and from the United States and LATAM for the best airline in South America. Winners in the hotel industry included in Peru, JW Marriot in Cusco Peru and Aranwa Cusco were among many other great properties in many other great South American destinations. The award extended to resorts and jungle lodges where many excellent properties were rewarded for their achievements. Receiving South America´s leading green resort was the fabulous Mashpi Lodge in Ecuador. In Peru, the Aranwa Sacred Valley Boutique Hotel won the best resort in Peru. We are pleased to see that Ecuador won many awards in the South American section of the awards. 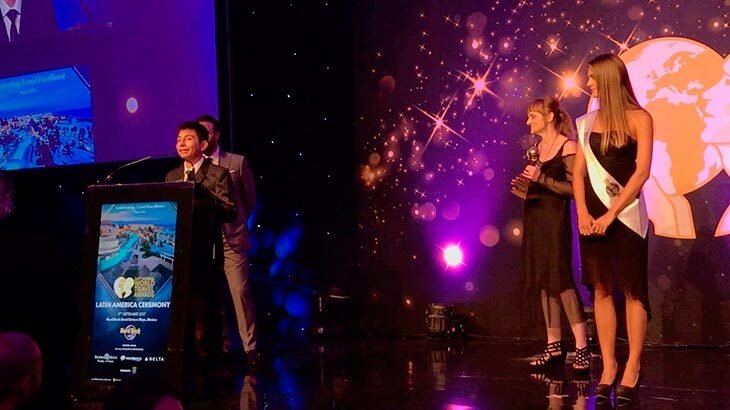 We would like to congratulate Ecuador on the following, South America´s leading airport, Quito, South America´s leading beach destination, the Galapagos Islands, South America´s leading destination, Quito, among many other awards they received on the night. In the category of Leading Tour Operators, we wish to congratulate Costamar who won South America´s leading tour operator. This year Machu Travel Peru was nominated in the Peru´s best Tour Operator and what an honor. 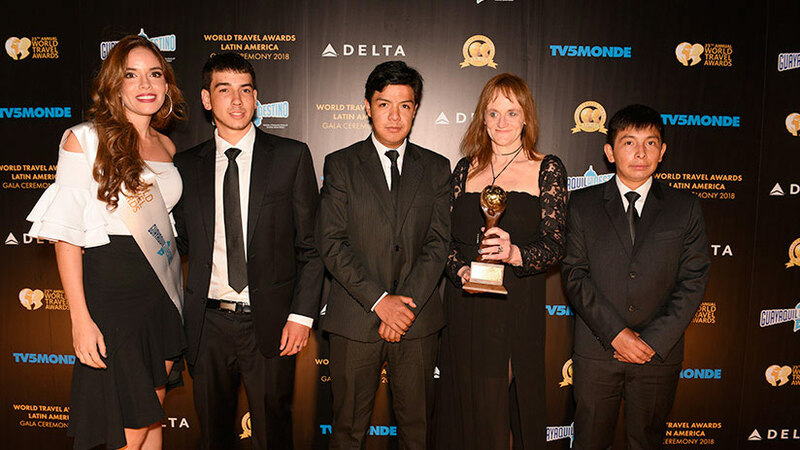 The competition was tight with some of Peru´s best travel operators also nominated. We feel honored to be grouped with such a wonderful range of excellent travel companies, so of which we have the privilege to work with. We congratulate all the nominees for all the hard work and dedication they have shown throughout the year. 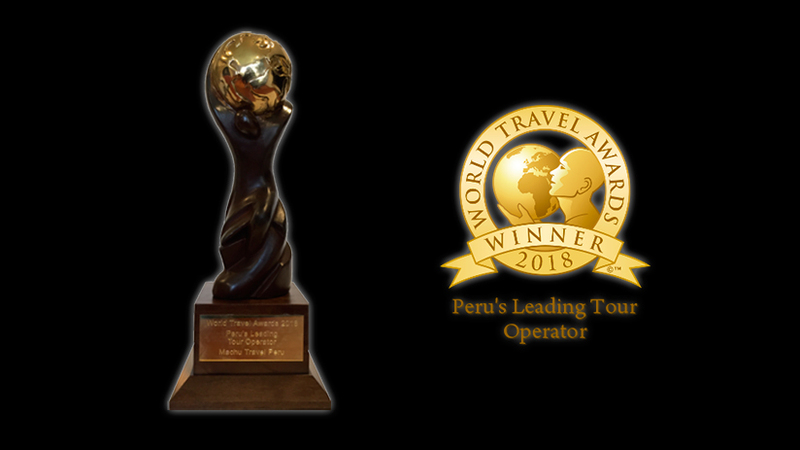 It is our great honor to have been awarded Peru´s best Tour Operator for the second year running. The team at Machu Travel Peru traveled to Ecuador with great excitement to not only receive our award and attend the wonderful ceremony, but also the visit the impressive city of Guayaquil. We here at Machu Travel Peru are ever expanding and looking for new and exciting destinations to offer our clients. We regularly change or website to include changes in our company and our destinations. Our clients are some of the best people on the planet and we love that they come to Peru with an open mind and an open heart. Nothing is more satisfying than to receive our client’s reviews and feedback, this is how we learn, expand, and grow our company. Due to our hard and dedication our wonderful passengers have rewarded us by voting for Machu Travel Peru, we would like to thank all our past and present passengers for the confidence you have put in our services. The future looks bright for Machu Travel Peru and for the Peruvian tourism market. Machu Travel Peru looks forward with great anticipation to what lies ahead for our company and most importantly the services we can offer our passengers. We are already planning our trip to the next year’s World Travel Awards. The World Travel Awards this year celebrates 24 years and is acknowledged Worldwide as the ultimate Travel accolade for the Travel industry, in other words the Oscars of the travel industry. The World Travel Awards brand is recognized globally as the ultimate reward for quality, with the winners recognized as the best in the industry. This year the event was held at the Hard Rock Hotel, Rivera Maya in Mexico, a beautiful resort complex located on a stunning beach on the coast of the Rivera Maya. The event featured a delicious 5 course dinner and entertainment from local Mayan dancers. The evening was hosted by local Mexican celebrity Max Villegas who presented the awards to all the winners. The awards recognized many different areas of the travel and hospitality industry. Some of the winners in the airline industry included, Aero México for Mexico and Central Americas leading airline, Delta airlines won for the best airline travelling to and from the United States and Avianca for the best airline in South America. Winners in the hotel industry included the Sofitel Buenos Aires as South America´s leading hotel, the Marriot as South America´s leading brand. Leading hotels in each country included in Argentina the Alvear Palace Hotel, Bolivia La Mision Hotel, in Brazil the Hilton Barra Rio de Janerio, Colombia´s leading hotel suite, the Presidential Suite at the Hotel Cartagena Plaza, in Peru, Hotel Belmond Miraflores Park, in Cusco Peru, Aranwa Cusco Boutique among many other great properties in many other great South American destinations. The award extended to resorts and jungle lodges where many excellent properties were rewarded for their achievements. The Tambo del Inca resort and spa in the Sacred Valley of Peru was awarded the leading resort in South America, so congratulations to them. Receiving South America´s leading green resort was the fabulous Mashpi Lodge in Ecuador. In Peru, the Aranwa Sacred Valley Boutique Hotel won the best resort in Peru. 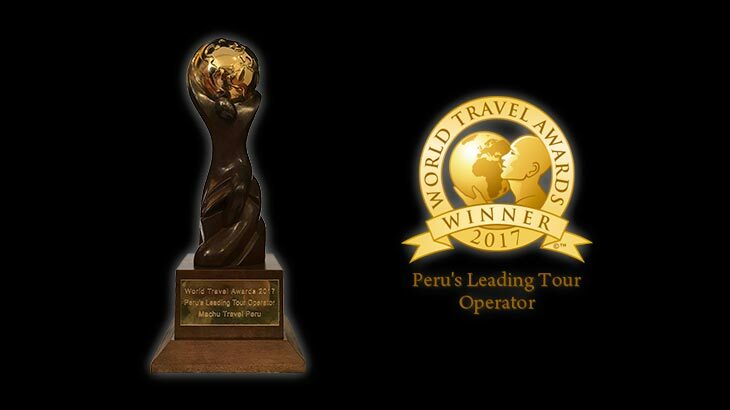 In the category of Leading Tour Operators, we wish to congratulate Tucan Travel who won South America´s leading tour operator. In Peru in the category of Peru´s Leading Tour Operator Machu Travel Peru was nominated along with many other fine Peruvian tour operators, companies to which we at Machu Travel Peru work with and have much respect for. 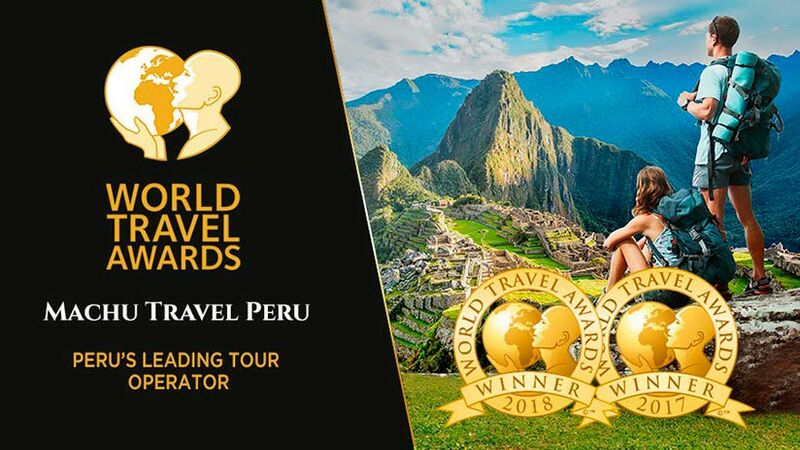 After the votes were counted Machu Travel Peru was voted Peru´s Leading Tour Operator, words cannot express what this award means to the team at Machu Travel Peru. We would like to thank all our past and present passengers for the confidence you have put in our services. The future looks bright for Machu Travel Peru and for the Peruvian tourism market. Machu Travel Peru looks forward with great anticipation to what lies ahead for our company and most importantly the services we can offer our passengers. We are already planning our trip to Guayaquil, Ecuador for the next year’s World Travel Awards.